In late 2009 global sports brand PUMA announced a partnership with sought after African-American urban artist Kehinde Wiley for the design of their 2010 PUMA Africa lifestyle collection of apparel, footwear and accessories. Following production of the range, Brandammo were recruited alongside photographer Jamie Morgan and stylist Barry Kamen to produce a series of four images to promote the range internationally. Having worked closely with Jamie and Barry during the photo shoot, Brandammo were tasked with post-producing the images to completion. Working with the beautifully styled and shot imagery our intention was to create four ‘works of art’ in the style of Kehinde Wiley. The composition was kept deliberately simple to focus on the model and their clothing as well as tie in with Kehinde’s style of portraiture. Whilst we knew we wanted to incorporate Kehinde’s patterns in the background – we didn’t want the images to appear as a cheap imitation of his work. So rather than use the patterns in their original form we deconstructed and distressed them in order for them to appear as a representation rather than a replication. To tie the models in with the background and to create a visual link between the design of the clothing and the artwork we brought some of the pattern in front of the model and the gold frames surrounding the images. 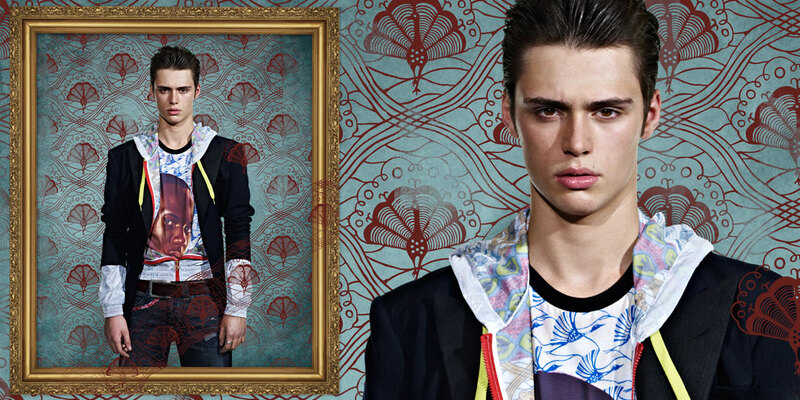 The frames were designed to reinforce the ‘Art’ theme as well as provide some royal grandeur to the images that would both contrast and complement the urban style clothing. 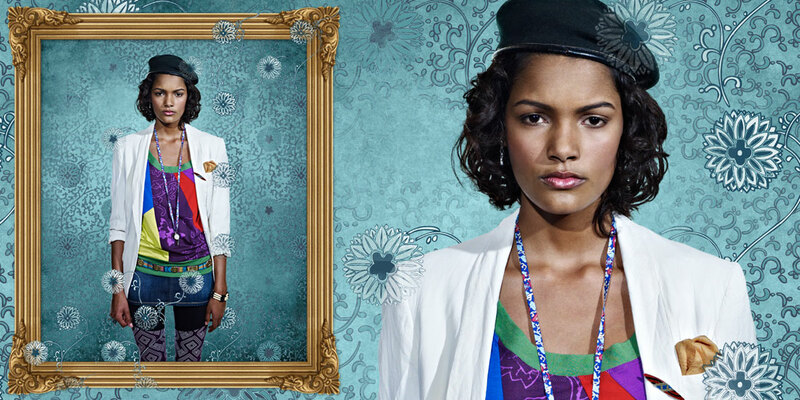 Brandammo delivered the series of four images as layered files that could be resized for use in store across their international retail presence and online. Due to the imagery being part of a much larger campaign, specific data on the effectiveness of the effectiveness of the campaign was unavailable. Feedback from Puma, however, has been very positive and we were informed that the imagery was used more widely than originally intended due to a very good customer reaction.